Make your Wedding Happen the Fabulous Way! Weddings are just one of the most remarkable events in one’s life. It may only happen once, but the moment it happens, it surely is going to be exceptionally memorable. 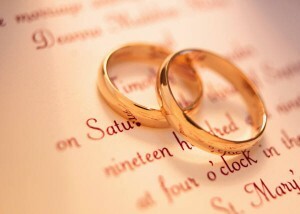 Like any other event, weddings need intricate detailing so that the whole ceremony goes smoothly and perfectly. This is why many couples hire wedding organizers and planners to help them do their dream wedding. Organizing and planning a wedding is never easy. You need to know a lot of things about the ceremony itself, at the same time you need to know every bit of detail about the couple that will be celebrating holy matrimony. However, wedding industry insiders already have enough knowledge on how to work things at a wedding to make it run as smooth as silk. Check out some of these wedding planning tips to help celebrate one of the most memorable events of your life. First thing you need to consider is the number of guests attending at the reception. You probably won’t have the exact number of guests but it’s always good to have an estimate. This will help you on how many tables and chairs you need at the reception. Another is when you book a florist, make sure to sign a contract on the minimum number of centerpieces you need rather than signing for the maximum number. For the food at the reception, know that it is not entirely always true to have a buffet dinner. Caterers know that a lot of food is wasted at buffet dinners. They will serve enough food accordingly. Also, it is better and more cost efficient to have a brunch reception, either buffet or plated, rather than having a dinner reception. Planning your wedding could be exhausting but it should also be fun and exciting. Consider these simple wedding planning tips to make your wedding special.